I just got to try out my mini short stacks on a small weekend trip from Philly to Lancaster, PA. Not a far trip at all, but we had a great time and the panniers were amazing. 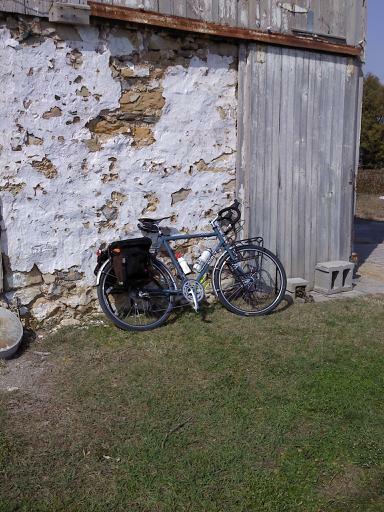 As with all bike nerds, I took a picture of my bike against one of the abandoned farms we passed. All the other guys on the ride loved the bags too. Thanks again. Keep up the great work!